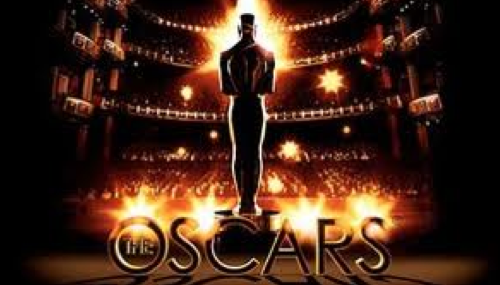 When I was in high school and college, I set a goal for myself to see all the Oscar-nominated movies. Then, of course, I’d second-guess the Academy with my expert opinions. I actually had a pretty high success rate. You can often tell which movies are going to have stay-ability and broad appeal—or those that are hard to forget because they’re so hard to watch. In 2008, No Country for Old Men was one of those. Slumdog Millionaire, in 2009 was another. 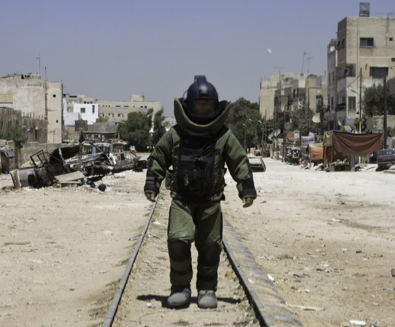 Then in 2010, The Hurt Locker came from behind to surpass Avatar to take the top honor. We saw THL at our local theater in Florence. It was haunting, so we asked our friends what they thought of it. No one had even heard of it, let alone seen it. Hmmm. Then Oscar season rolled around and The Hurt Locker was finally released in the US to rave reviews and sell-out crowds. It won the Academy Award that year for best picture and delivered the best director award to Kathryn Bigelow (James Cameron’s ex—a fitting competition). He’d created such an arrogant persona when he won for Titanic that there were few tears shed for his loss in 2010. The King’s Speech took the honors in 2011, although I also loved The Black Swan (which, in my quasi-expert opinion, should have tied for the honors). That brings us to this week. Now back to the movies. Midnight in Paris; Woody Allen’s latest, which we plan to watch. Moneyball; this one is interesting. 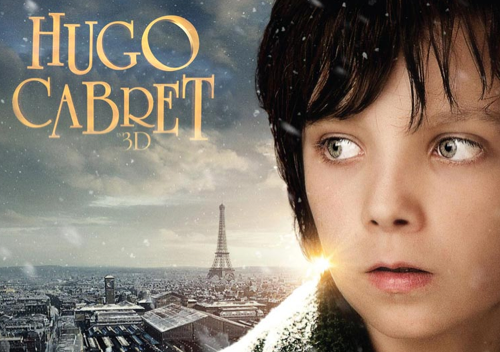 We’ll watch it before the Oscars, but it doesn’t have the same gravity that Hugo and The Artist seem to muster. The Tree of Life; saw it. I won’t say that we hated it, but . . . okay, we hated it. Brad Pitt seems to have perfected the art of jutting out his chin for some unknown reason. 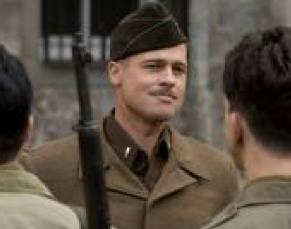 That jutting lower jaw is my primary memory of his character in Inglourious Basterds, as well—which was fantastic despite his misplaced mandible. Christoph Waltz was hauntingly excellent. War Horse; haven’t seen it and probably won’t. So here’s the tally: seen 3, will see 2 more for a total of 5 out of 9. Slightly fewer than 2/3. Not quite up to my college performance, but hey, I’m older and wiser now. Okay, we’ll agree on the older part. How about more “selective?” In any case, I’d be willing to bet that by Oscar night, we will have seen the winning movie. Save me an aisle seat. It would have been a typical Thursday night, except for the fact that we had declared it to be a “date night.” Here’s the inside scoop on what happened on our romantic evening. We rarely go out to dinner, mainly because our dinners at home are lovely. We’re lucky enough to have our very own gourmet-cook-daughter prepare wonderful meals for us. So who could resist that? Nobody I know. But we wanted to catch one of the new movies, so it made sense just to go ahead and make a complete evening of it. Our favorite movie theater is the Camera 7 at the Pruneyard. And it just so happens there are several good restaurants there, so we decided to eat before the movie. Then, we discovered that there were actually two movies we wanted to see, The Descendents, with George Clooney and The Artist with unknown-to-us French actors. We contemplated which movie to see—Which one? Which one? Why not both? So we found a cozy table at Pacific Catch and had a couple of variations of salmon: one grilled and neatly placed on top of a salad, and the other, teriyaki style with snow peas. It was a great meal, although the ones at home are decidedly quieter with candlelight and soft music in the background. But as they say, variety is the spice of life. Then off to the cinema. We usually buy their “Club Card,” which entitles us to 10 movies at $60. Although that’s a lot to spend at once, $6 for each movie is quite a bargain in today’s world. The Camera 7 at the Pruneyard is part of the larger Camera Cinema group, so we can see movies close to home, or we can go into San Jose for a hot new release as well. Pretty convenient. We went into the #7 theater in the complex, which is around several corners at the end of a long hallway. That place was definitely designed by an a-maze-ing architect. 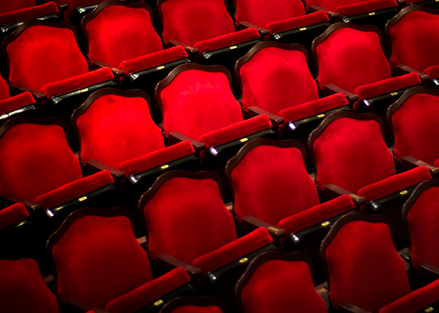 Once inside the actual theater, it feels more like the stands at a football stadium—large and steep. You actually enter on the side down midway between the upper and lower sections, and then have to walk around in the dark as your eyes adjust, while everybody gawks at your clumsy seat selection process. When we arrived, people are mostly looking to see where Em decides to sit. I’m only 5’6 so wherever I sit is fine, but since he’s 6’5, people cross their fingers hoping that he doesn’t land in front of them. Our gamble on the Clooney flick paid off. He always does a nice job when playing the part of a down-to-earth, ordinary guy. But just between you and me, I think that’s what he really is, so the portrayal may be a bit of a snap for him. After The Descendents ended, we had 5 minutes to get to the next theater on our agenda, Salon #2. That one was back around the corner, through the maze and near the main entrance. We cut the credits short just to make sure, and made it with time to spare. There weren’t very many people attending—6 to be exact. I guess that’s no big surprise on a Thursday night at 9:30, so we had plenty of space to sprawl out and get comfortable. No one had their view of the screen blocked, that’s for sure. 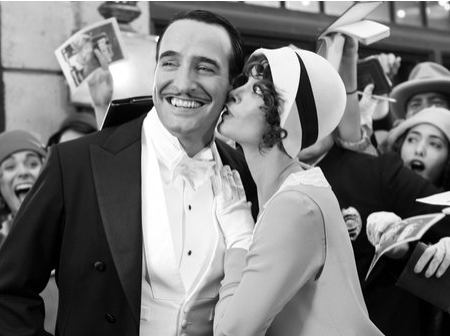 The Artist is a black and white, silent movie, which these days is hard to sell since its harder to promote the movie by word-of-mouth (so to speak). The old-style set the movie apart from others and coincidentally, set it up for an Oscar nomination. The movie was great. It’s hard to imagine how they did it without words, but it kept our attention for the entire time. In fact, we commented afterwards that we were surprised that neither of us got snoozy, being a little on the late side— finishing up about 11:30 ( 5 hours past our normal bed time—that too was a joke). I’m afraid I’ve come down with something recently. From all indications, it could very well be a severe case of Shark Fever. When I was a teenager, I loved high school football and basketball. I don’t think I ever missed a home game. 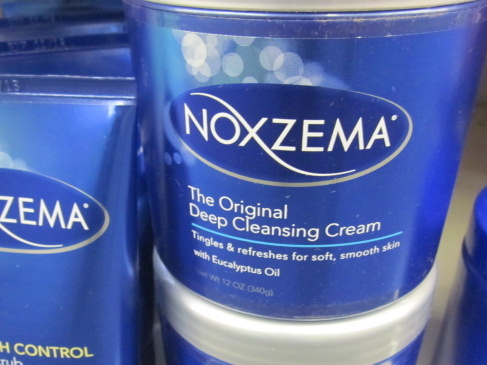 To this day, I can close my eyes and imagine the unmistakable fragrance of Noxema skin cream in the air. Oh yeah, and the masculine scent of English Leather cologne as everybody tried to look and smell their very best at the games. My high school memories are full of those sensory cues and to this day, it seems that they can intoxicate and transport me. Because of those happy memories, even though I don’t spend a lot of time as a spectator—deep down, I’m something of a sucker for a sports event. When I went off to college, the years were pretty turbulent, so I took a a break, something of a long hiatus from organized sports. 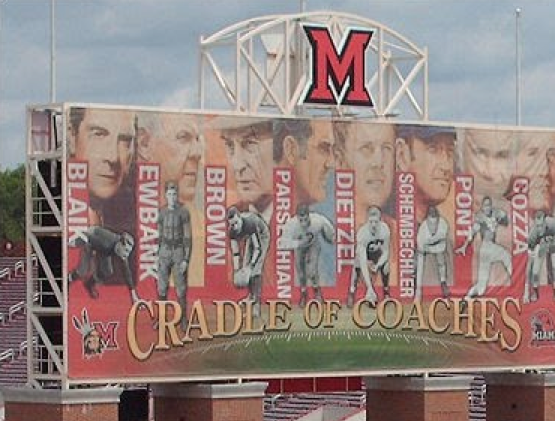 Oh, yes, I DID grow up in Ohio, and my university WAS the “Cradle of Coaches,” so I had every reason to stay the course. However, sports didn’t have quite the same allure as those earlier days. I was busy with other stuff. In the late 1960s there were lots of distractions. Years later, both of our kids played high school sports. One, basketball. One, volleyball. 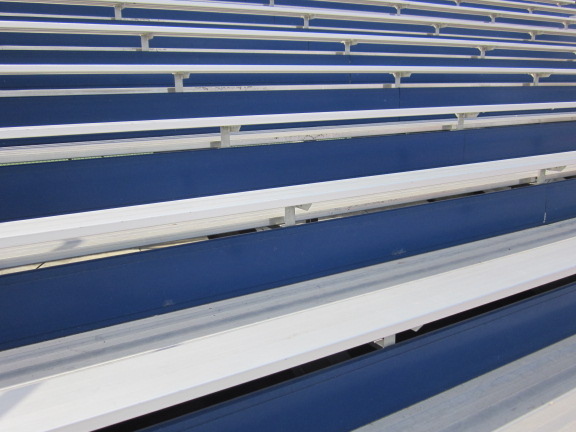 I loved going to their games, but there wasn’t the same enthusiasm I remembered among the fans. Strange. Here were teams playing their hearts out with only a handful of parents and spectators in the stands. What a shame. Then our son rowed crew in college and we enjoyed his regattas, but of course, there ARE no stands and no collected fan base, so that was an experience of a very different kind. For sure, no one was doing the wave along the banks. In fact, the only waves were the ripples on the Charles River. Years passed in my life with minimal sports involvement. 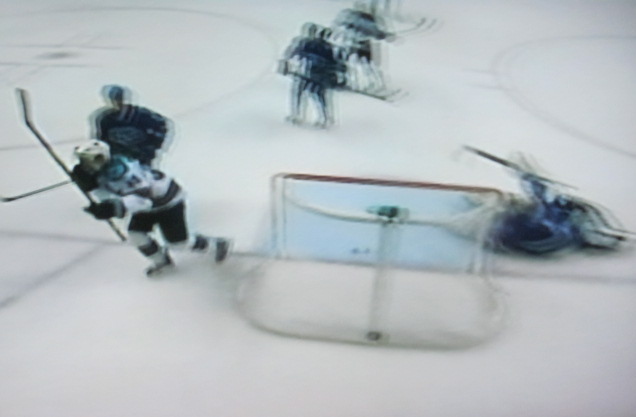 Then, everything changed recently when our daughter became a San Jose Sharks fan, and we started watching the games on TV together. I was amazed with the skill and dexterity of the players. . . and the refs! Skating backwards out of the skirmish is pretty incredible to me. I admit that I have some of the skinniest ankles in the world, so I can’t even imagine standing upright on skates for more than 5 seconds at a time. Yet those guys run, turn, and do all sorts of antics on those dangerously sharp and slippery blades—for more than an hour. Whew! 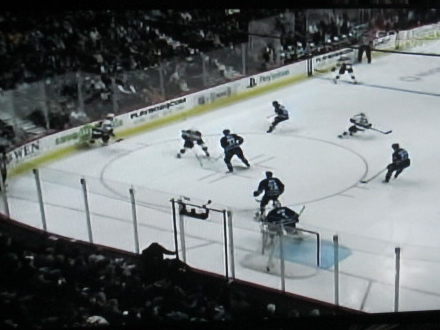 So here’s what I’ve figured out: hockey is a combination of football, as in “off sides”; basketball, as in “shots and rebounds”; golf—as a sport where you swing club-like sticks at a small object; rugby—where it gets a little crazy at times; and of course, roller-derby. I remember watching women roller skating frantically around that small oval track—all the while trying to beat the stuffing out of each other. Now that I think of it, hockey even has a bit of Big Time Wrestling mixed in there as well. What a strangely attractive sport! So hockey brings together elements of ALL those quirky games into one action-packed competition that really holds my attention. I also like the global community that hockey represents. The announcer seems to be reading the last names from an international directory. Now, I know that the players are recruited from anywhere and everywhere the talent pops up. But, I like to imagine that SOMEONE says (just to be global), “Let’s draft a player from some other country. 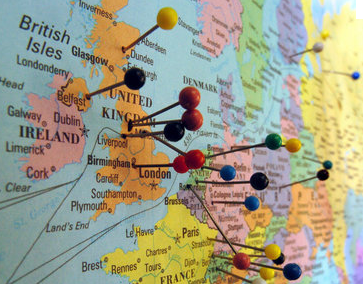 We don’t have anyone from that part of the world yet.” He/she then sticks another little round-tipped push-pin into a world map on the cork-board, indicating that all countries are equally represented. How continental! I like that the San Jose team is called the Sharks. That makes perfect sense, being here on the west coast. And of course, the fans dress to coordinate with the team. Last night I heard an announcer call them, The Men of Teal. That’s pretty funny, taken directly from Superman’s description, as the Man of Steel. 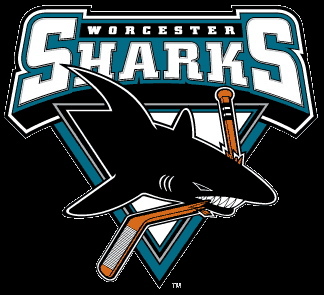 I don’t know who decided to make the shark mascot swim over those cool teal background shapes while chomping a hockey stick, but I guess it’s supposed to conjure up images of the powerful beauty of the blue-green ocean—kind of serene yet intimidating at the same time. Today, there’s a matinee match. When I asked our daughter why, she said that lots of people like to watch sports all weekend long. Hmmm, that’s pretty serious stuff! But then, I closed my eyes and and felt that familiar allure of sporting competitions calling me. I pictured my senior class at a bonfire before a big game against our number one rival. Suddenly, I was sure that I caught the unmistakable whiff of Noxema wafting across the family room—from the direction of the TV cabinet! I settled into the sofa and took my position: armchair hockey ref. Thursday afternoon. Normal. Typical. Peaceful. After lunch, we were standing in the family room/kitchen, talking a bit. Em described something and as I listened, I became totally distracted. Something caught my eye. “Wait! What was that?” I couldn’t believe my eyes. “Is that a rooster?” Em looked at me as though I’d been elected Queen of Looneyland. “What!? What are you saying?” he asked, without even bothering to turn around. 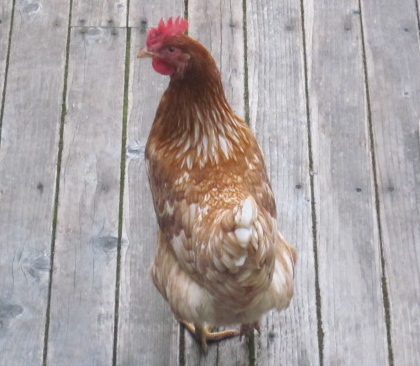 While Em became a poultry paparazzo, I grabbed my shoes and headed down the alley, remembering that I’d previously heard clucking sounds in the neighborhood. “Someone around here keeps chickens. I just have to find out which neighbor and alert them about their recent escapee,” I reasoned to myself. But the alley seemed to be secure. There were no open gates or obvious breaches along the fence line. 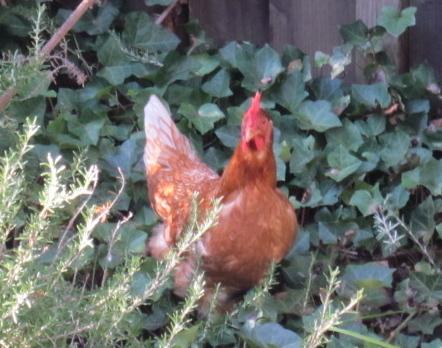 Finally, I found a neighbor, just returning from an outing and asked her who keeps chickens. “Two doors down!” she assured me and off I went. Looked like a rooster to us! 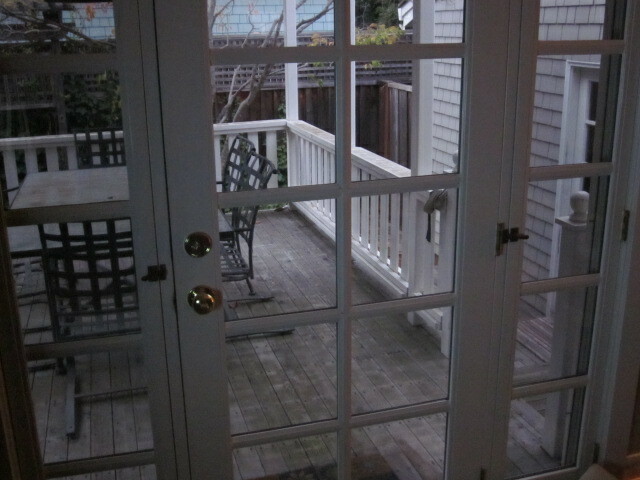 Then I hurriedly stepped off the porch as the door closed behind me. Looking back over my shoulder, I realized he wasn’t following. I decided to go on home. 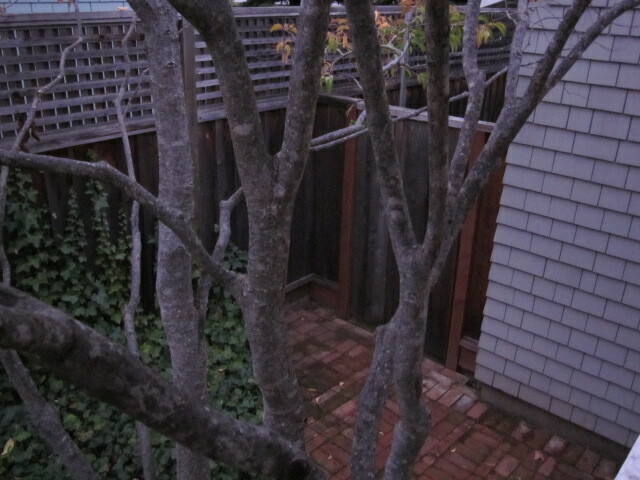 As I rounded the block to re-enter the alley, the Quiet Guy appeared from his back yard. I waved him down, and we went through our gate together into the forbidden and dangerous chicken zone. The Quiet Guy was in close pursuit through the family room. Finally he chased her into the bathroom. Obviously feeling cornered, the poor bird let out a few more screeches to ward off her pursuer, but to no avail. Because the space is so small, he quickly nabbed her. He checked the tag on her skinny little chicken ankle and announced, “Yeah, she’s ours.” Then, with a puzzled look on his face and a quizzical tone in his voice, he wondered aloud, once again, about how she could have possibly gotten out. Hmmm. He was completely bewildered by her escape. It really didn’t matter, we assured him. Everyone seemed to be satisfied with the outcome. Quiet Guy turned toward us and volunteered, “I’ll ask my mom to call you to apologize.” We told him there was really no need. But then, I thought of something . 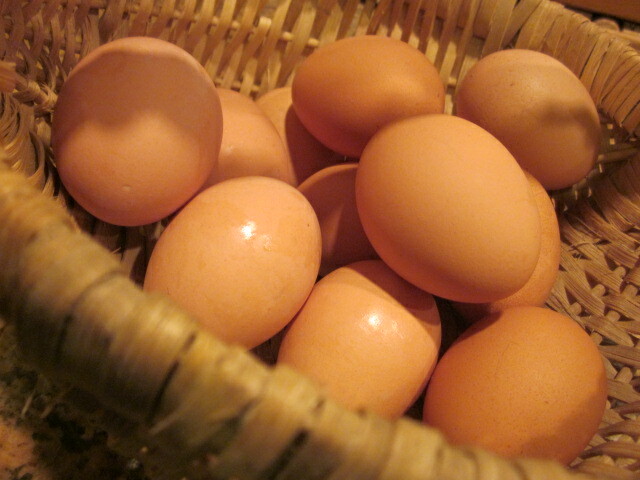 . . “Do you sell eggs?” He answered that indeed they do. When it comes to eating “locally,” I’m pretty sure that across the alley qualifies. 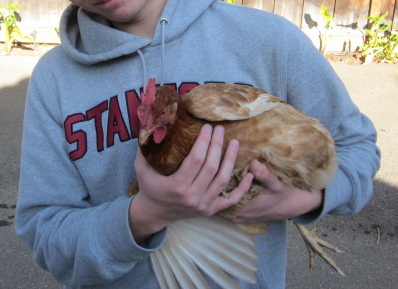 The afternoon chase was a “win-win”—Quiet Guy recovered his wayward chicken and we got the promise of fresh eggs. I love happy endings! 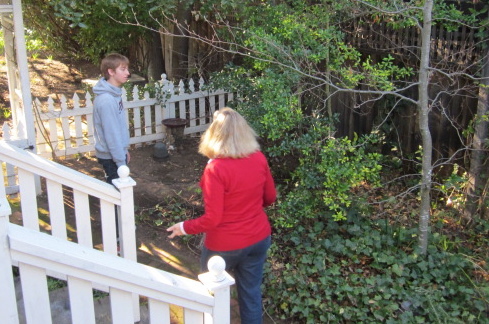 Although winters in California are mild, we take every opportunity to follow the sun. No, we’re not sunbathers—at least not in the traditional sense. We just find the place in the house where the sun washes across the floor and onto a sofa, or a bed, or across a table. In our endless pursuit of sunshine, we’re hardly ever alone. 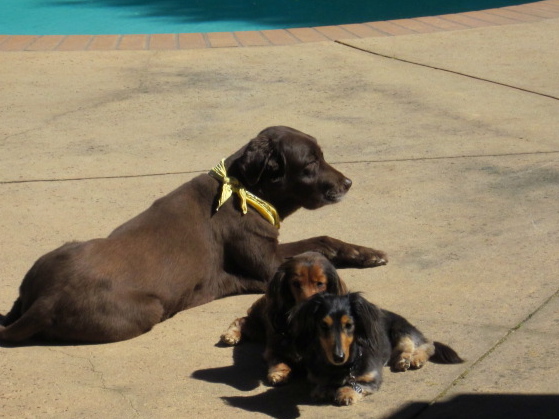 As soon as we discover a sun patch, we are joined by Abby, Izzi, and Tuesday—the original sunpuppies. 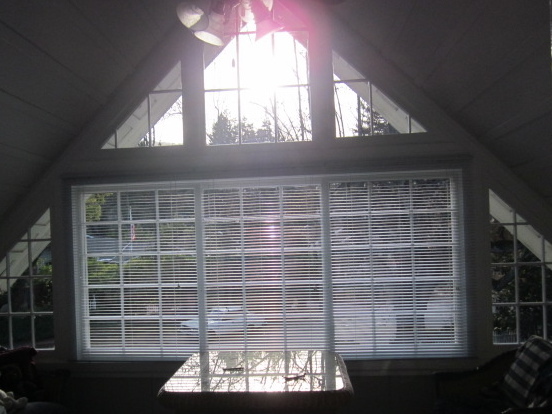 In the mornings, sunshine washes across the guest room, spreading warmth from the windows to the opposite wall. 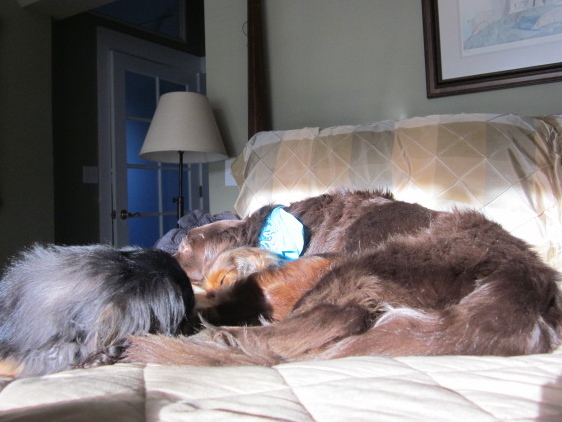 Tuesday can often be found ON the bed, lounging in that sunshine. It makes her moany and weak. If disturbed, she can barely lift her head to acknowledge an intruder. Her facial expression is, “Oh, it’s you—please try to be quiet.” She then plops her head back down and resumes meditating. Early afternoon finds the front space of the living room bright with sunlight. 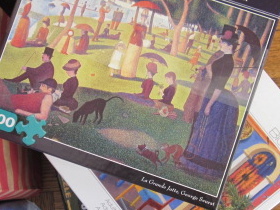 It’s really too cool to sit outside, so we carry our lunch on trays into the living room and place them gently atop the puzzle pieces that live there. Then for the next half hour or so, we eat. Lunch is tastier with a mouthful of sunshine before each bite. The only consideration is that we have to place our yogurt in shadows to keep it cool. 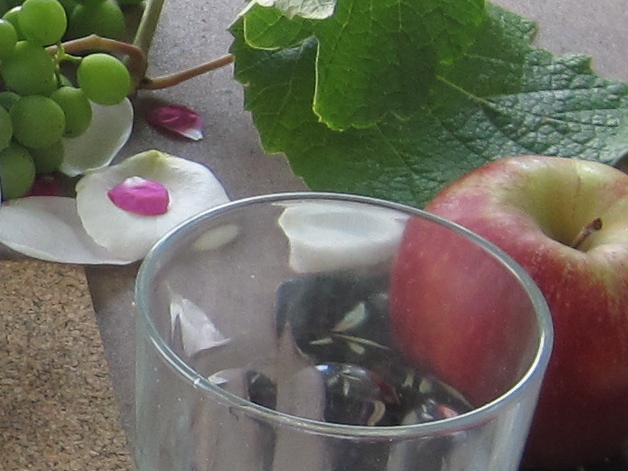 Sunlight reflecting through a tall glass of water and a shiny, glistening apple are especially inviting. The sun room is ready! After lunch and a short “outdoor opportunity” with the girls, we anticipate that the sun has reached maximum warmth across the upstairs carpet and maybe even onto the bed. Tuesday usually makes this discovery first. 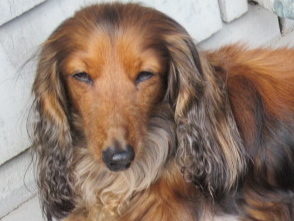 Then Abby makes her way to the sun porch, where her steps become labored and she finally drops to her little doxie knees before her tummy touches the carpet. Her eyes relinquish any attempt to stay open and she begins to snore. Izzi is head to tail, reconfiguring her little black and tan body into a doxie doughnut. She’s fast asleep—with her eyes wide open, which is a bit creepy. She’s always done it, but it never fails to ook us out a little bit. We conform to their bodies, trying to capture stray splashes of sunshine that they haven’t already absorbed. For 15 minutes or so, we all enjoy this little after lunch digestivo, digestive as Italians say. Surely the sun optimizes the benefits of the wonderful lunch we’ve just eaten. The sunlight begins to recede and we resume our afternoon activities. We will repeat this simple sunflower routine again. Tomorrow. And the next day. And the next, contented to notice that since the winter solstice, the days are getting subtly, yet increasingly longer, which translates into more time to enjoy sunny weather inside, no matter what the temperature is outside. Everyday is magically and irresistibly transformed into a Sun-day! Although the title of this entry sounds like the call from a quarterback, it’s really a description of the way we spent New Year’s Eve 2011. As soon as we finished eating, we whisked the girls from their naps for a last minute outdoor opportunity. That done, we changed into our hiking shoes and grabbed a bottle of water. 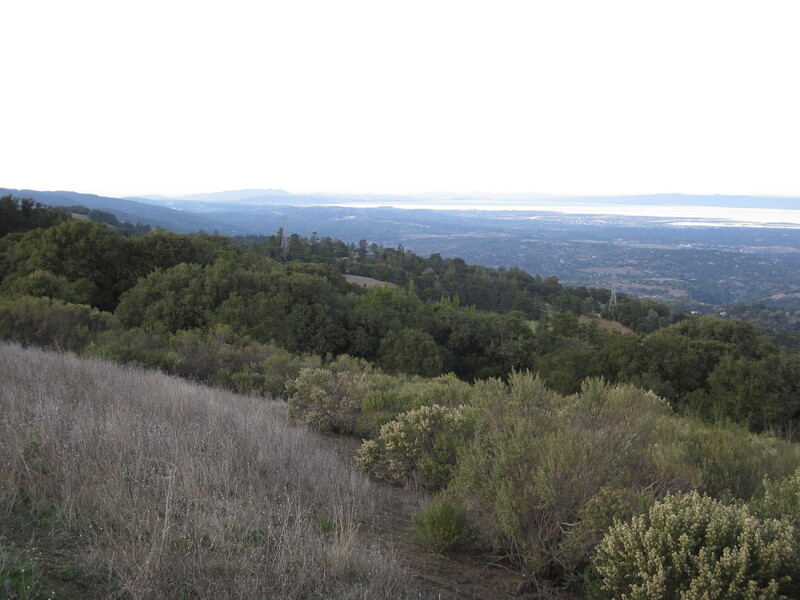 Then into the car and onto the switchbacks and beautiful curves up Big Basin Way, arriving at Skyline Boulevard. 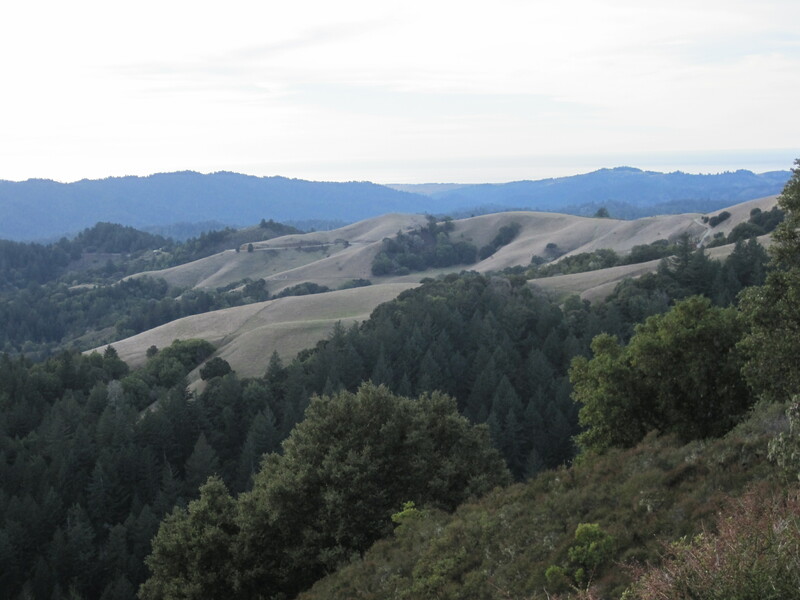 Skyline is the road that follows the summit of the Santa Cruz Mountains. The winding drive through the redwoods invites weekend warriors to jump on a bike or motorcycle and ride like crazy or just cruise. 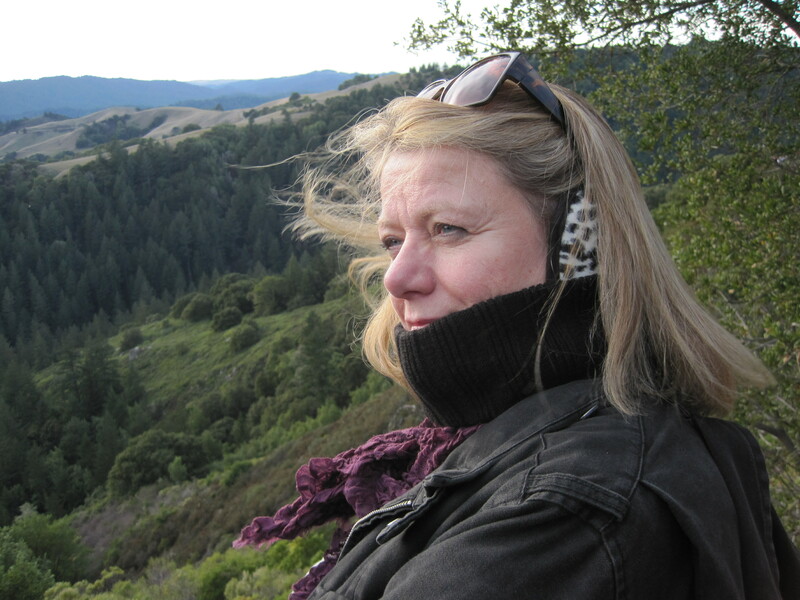 As we drove north, to the right we could see the San Francisco Bay and the towns that line that side of the peninsula. 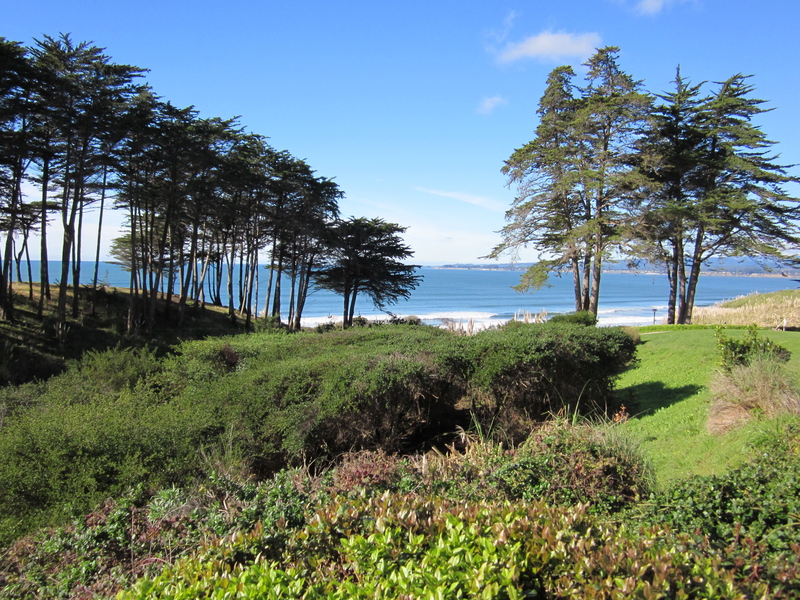 To the left, the Pacific Ocean glimmered in the distance beyond layers of lush pine and redwood forests. Even after 20 years, the sight of the mountains rolling from one body of water to the other, and the first sighting of San Francisco in the distance, still causes us to ooohh and aahh like kids. We parked the car at the entrance of the Skyline Ridge trails and headed out. At the last minute, I grabbed a set of ear muffs and my jacket from the back seat of the car, just in case, since the weather can change rather suddenly. After the initial steep climb, the familiar gorge opened up. The hillsides look so different in the winter, with their straw-colored grasses waving in the breezes. In the springtime, however, it’s another scene altogether with the the lavender, yellow, and white wild flowers everywhere. As we rounded the next bend, a stronger, and much colder wind hit us in the face (Good call on the jacket and ear muffs). Our favorite destination is the stone lookout on the other side of the mountain. It was stunning that day as always, bringing a wonderful reflective pause—for us, 2011 was a very interesting year! After about 30 minutes or so, we headed back. Judging from the growing number of hikers sharing the trail, it looked as if hiking Skyline was a fairly popular choice for closing out the year. Arriving back at the car, we climbed into the trusty Honda and headed north to Alice’s Restaurant. It’s a rustic place, with cow hide covers on the seats of the cozy booths and picnic tables out front. 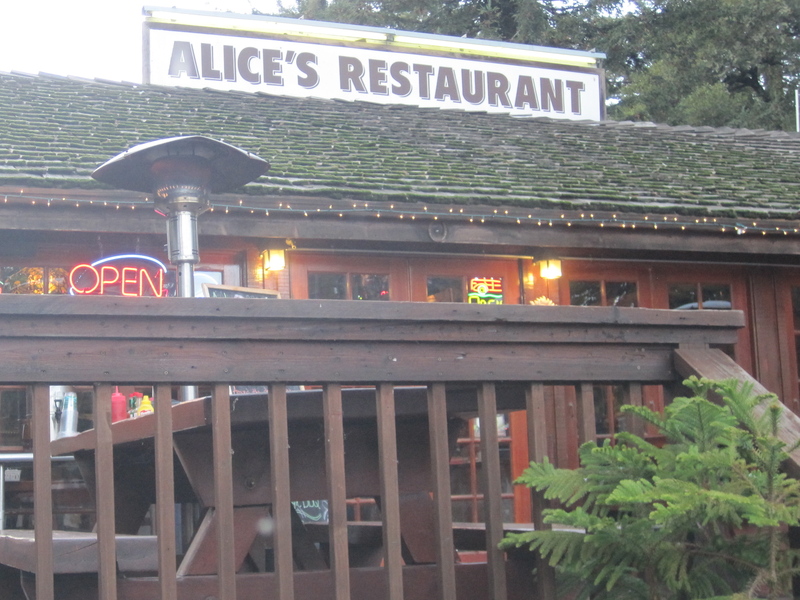 We slid into the familiar benches on either side of the redwood picnic table and perused the menu. An unusual choice caught our eyes: buffalo burger. The server was kind enough to cut the giant sandwich in half so we could share it. Munching away on our buffalo treat, we watched bikers suit up for their return rides down the mountain—clusters of people buckling gloves at their wrists and stuffing their heads into helmets. A family at the next table shared YouTube videos as they ate. It’s a very casual place and that’s what we like about it. Sadly, Alice did NOT bake our favorite pie on that last day of the year: upside-down apple walnut. So we settled for traditional apple pie ala mode. It was a nice complement to our special sandwich. Even though the restaurant is named for the Arlo Guthrie song, the fact is, you CAN’T “get anything you want,” as the lyrics promise. But it was still delicious, and a great way to pay tribute to the waning year. What next? Well, Emerson suggested that we take a dog and buzz over the hill on New Year’s Day for a leisurely walk on the beach at Seascape. It was a good call: 1-1-12 Stroll! Well, it’s that time of year again. The holidays. From mid-November through the end of the year, the celebrations are strung together like beads. In fact, they can become a bit of a blur as they zip by. Of course, Thanksgiving is the gateway holiday for Black Friday—that all-important starting line for holiday shopping, and so named because it’s the day when retailers supposedly turn a profit—from “in the red,” to being “in the black.” But in our family, the holidays are much lower key and are certainly not focused on shopping. 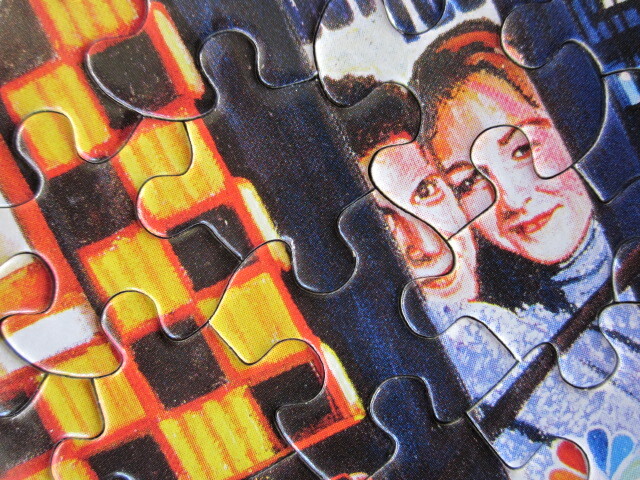 Instead, we puzzle together. 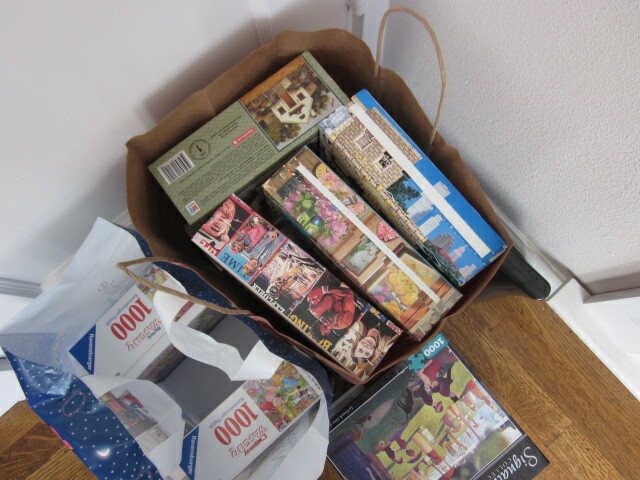 No, I mean we REALLY puzzle. 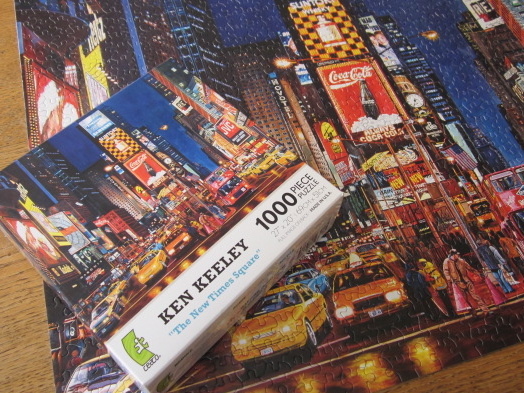 We like the size and challenge of 1000 piece puzzles, and started our first one early in December. Since we were just gearing up (getting our “puzzle eyes” on), that one may have taken us a week. We’d work in the evenings, but only occasionally. Once that puzzle was finished, we immediately began another. We started picking up speed, cutting our time in half. Pretty good. Here’s our technique: a new puzzle is chosen from our selection (typically 5-7 waiting in the wings). 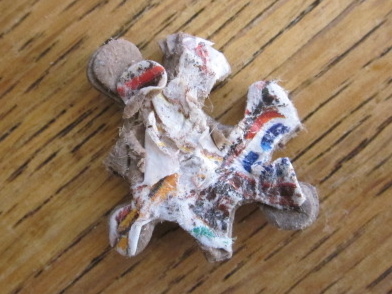 We empty the pieces onto the table in the living room and begin turning them over, from cardboard side to picture side. You may, in all fairness, ask, “Who doesn’t?” Well you’re right, EVERYBODY does that, but what it signals to our family is the beginning of the chide. That’s right. If someone has to go to the bathroom, or chooses to give the doggies a treat in the kitchen, they’re chided for their apparent intention to evade the often dreaded process of puzzle turn-ature. This mocking goes on relentlessly for some time until the irresponsible party redeems him/herself by finding more edge pieces at a faster rate than expected. Then, we get serious and really settle in. The edges form the border and we each “claim” territories of the picture to “build.” It’s common for someone to ask, “What are you building?” If two people have inadvertently chosen the same object, there’s an agreement that the one who has built more has imminent domain, and the pieces are immediately relinquished to that person—no questions asked. 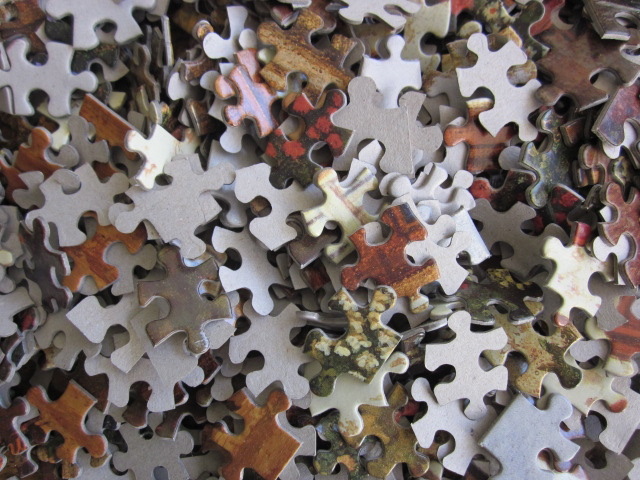 During the puzzle working, someone will typically ask the most fearful question in all of puzzletry, “Are all the pieces here? I think something’s missing.” I did mention the doggies, so we are quick to look at Tuesday, who enjoys gnarling a piece every once in a while. Although she’s never eaten one completely, we’re left with a barely recognizable, damp form to squish into place. She just likes to be part of the action—is that so wrong? No one ever suspects Abby, since she’s typically snoring on a nearby pillow. And Izzi-B could only find a piece if it bounced off her head. Consequently, Tuesday is the usual suspect. 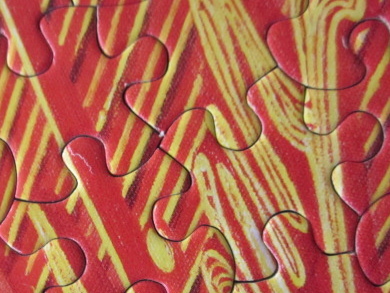 And of course, everyone has an individual puzzle working style. Em is a shape-fitter. He examines the space and scours the table for the perfect-fitting single piece. (It takes him forever, which draws fire from fellow puzzlers on occasion.) I’m a box-matcher. Give me the box and I can locate any piece that you hand me. Of course, it’s not connected to anything and is often not very useful—but hey, it works for me. And Iris? Well, she’s the puzzle-master, master-puzzler. She goes by shape, color, texture or just plain instinct, employing every possible nuance she can think of—it’s poetry in motion and any puzzler’s dream to watch her work. Last night we began at 10:30 pm and finished the puzzle just before 2 am. Okay. We can be a little compulsive, I admit. The standard 1000-piecer, is taking us about 1 and 1/2 days now to complete. We’d be consummate professionals, if there were such things. Tomorrow, we select the next puzzle. We’ll begin the process all over again with renewed zest and anticipation. Aaron arrives on Sunday. He told Iris to be prepared because he’s bringing puzzles. Atta boy! Every family has traditions and rituals. This is ours. Title inspired by Rodgers and Hammerstein’s song from “The King and I”—which by the way, would definitely make a good puzzle!